The adventure of Bowser, oh what an adventure! 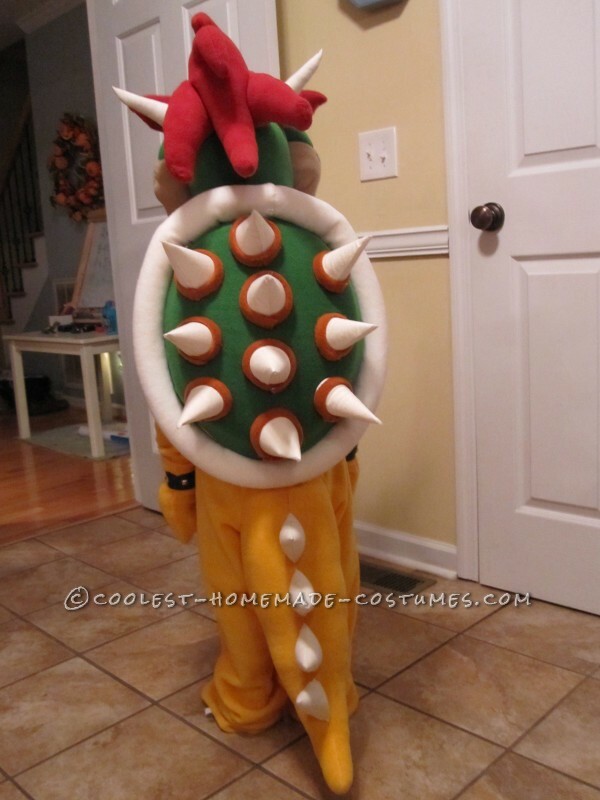 The journey of making the costume started when Jordan (Grandson) so desperately wanted to be his favorite character from Mario, only to find out they do not sell Bowser anywhere. What a disappointment, huh? Absolutely not, my sweet Jordan would not be disappointed and his wish was my command. With that being said, off to JoAnn’s Fabric Store I went. My trip to JoAnn’s was a very thoughtful trip. I made sure to really focus on the detail of Bowser by looking at pictures for guidance. I wanted to make sure I picked out the best color match of the fabric that I possibly could. After looking through the fabric I picked the perfect one, Fleece, which just happened to come in all the colors I needed for Bowser. 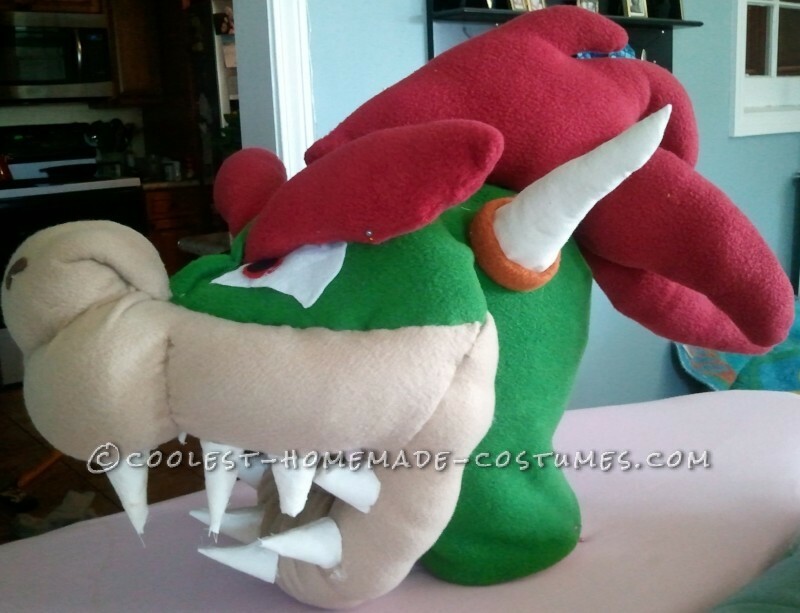 Next I found the perfect dinosaur pattern for the body of Bowser. After a good hour and a half I was walking out of the fabric store feeling very pleased with my purchase of materials. Now, here it was three weeks before Halloween and I am sitting, just looking at all the fabric and materials thinking “Where do I even start?” I quickly cut out the pattern for the dinosaur, sewed it up and was feeling pretty good. That part was a breeze. 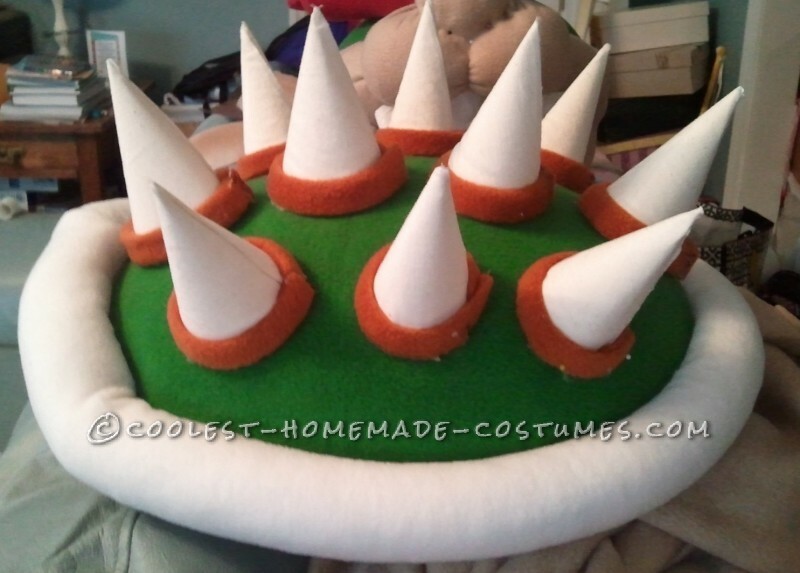 Then comes the part where I have to make the face and back of Bowser. I needed something other than pictures to help me, so I went to Toys R Us and brought a Bowser figure, while there I also found a Turtle back I could use as a base for Bowser’s back. I constantly looked at my Bowser figure throughout the rest of the process. Bowser’s head definitely was the hardest part o the adventure with the back being the most aggravating. 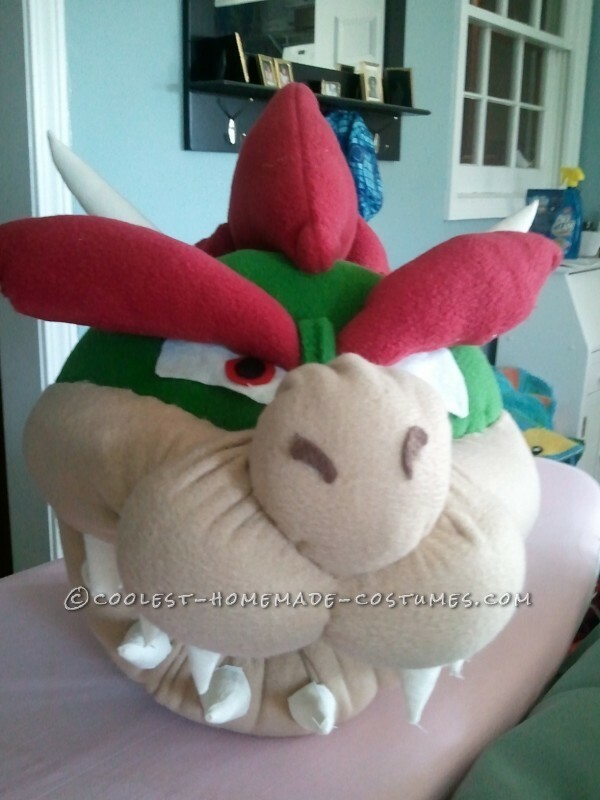 I went to Hobby Lobby and bought smooth Styrofoam balls, Stryofoam ring, glue gun and glue sticks specifically for foam and went to work on Bowser’s head. So many times I thought I’m not going to be able to do this, then Jordan would say very excitedly “MeMe is that Bowser? ; What are you doing now? ; Are you almost done?” That would give me the strength to keep going I couldn’t let this sweet child down! After thirty hours of hand sewing (my hands will never be the same) and lots of love Bowser was done!! 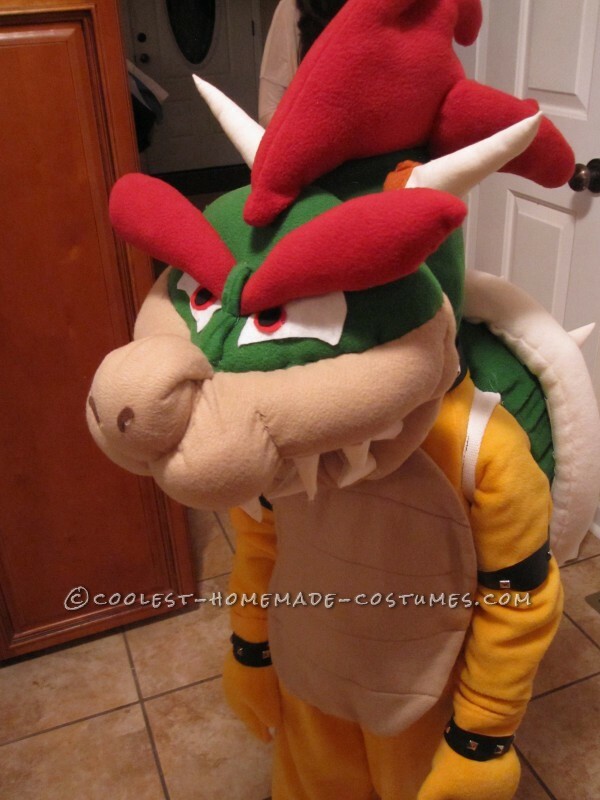 Halloween night, Jordan stands looking beyond thrilled to put his amazing Bowser costume on. He thought he was the coolest kid in town with his awesome costume. You couldn’t tell him anything, he WAS Bowser! Truly, it was amazing at how much he really looked like this character. Jordan (aka Bowser) was ready to set off and Trick or Treat, we were on the final part of our adventure. The adventure of Trick or Treating, how fun and overwhelming, Jordan truly was the center of attention that night. Every kid was just walking pass so amazed and shouting just how cool his costume was. Children and adults were walking up to him the entire night. Kids would scream, “Bowser! 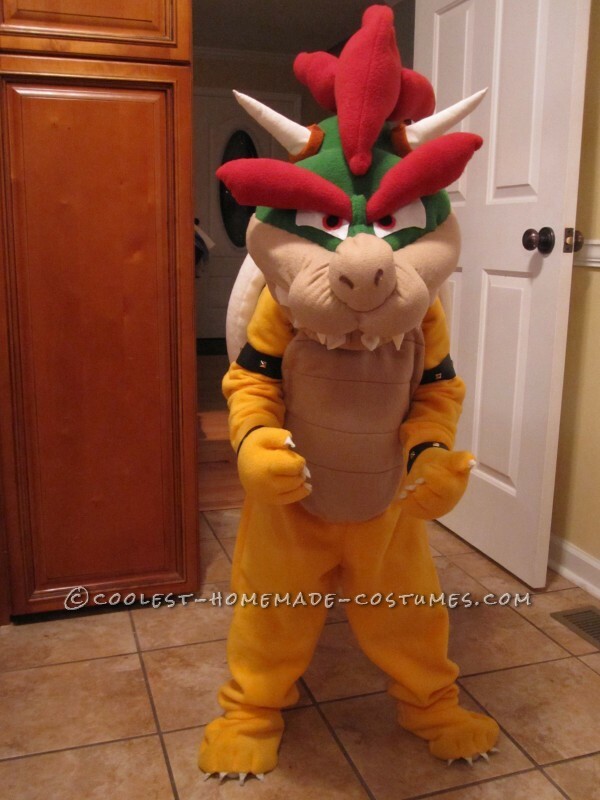 Omg, look it is Bowser.” ” You are the costume of the year! That’s so amazing.” There were a few adultswho even had to stop and get their picture made with him. How cool is that? 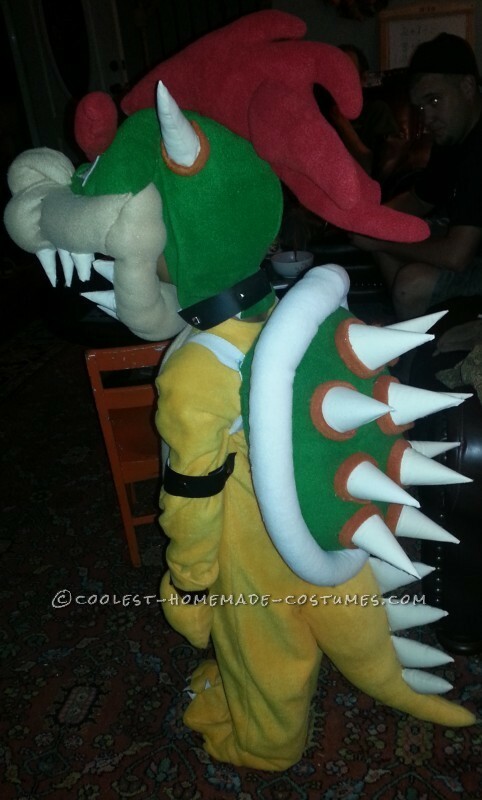 The night of being Bowser was definitely a HIT and much success. Jordan could not have asked for more. He was beyond thrilled, just as his audience was. Adventure over and every sleepless night of stitching, sewing and self-doubt was worth the smile and pure joy on Jordan’s face. His wish came true! 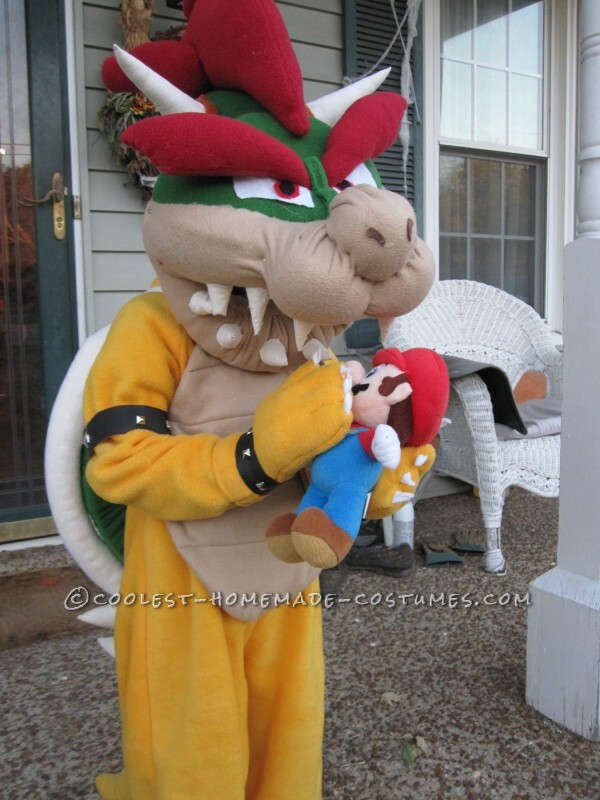 Halloween would not have been the same without Bowser. 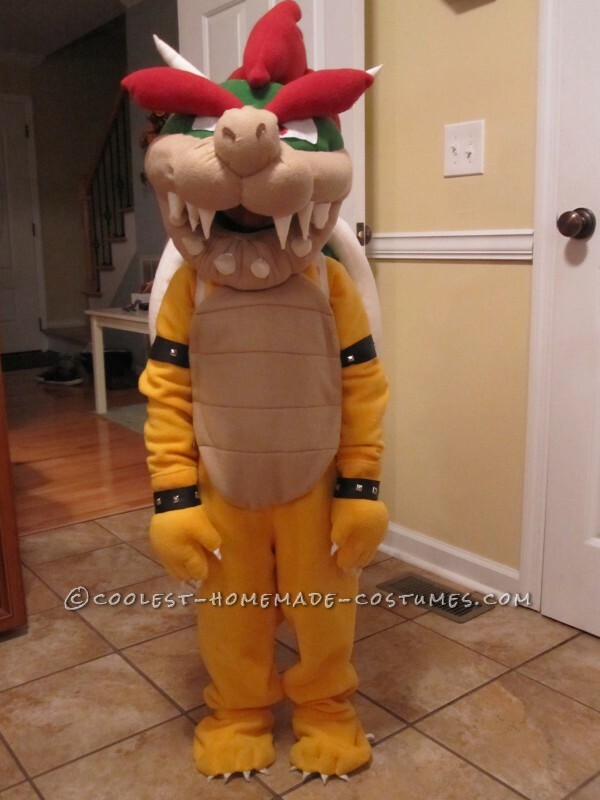 This is one of the most convincing Bowser costumes I’ve ever seen! The colors, textures and shapes are dead on.